Data has been collected from the nestboxes since 2008, and has been analyzed since summer 2015. All of the data collected at each nestbox is time stamped, so we can look at the development of nests and eggs over time. This data is also plotted against temperature data from SERC’s own meteorological tower. Harsh, cold winters may be causing a drop in bird populations, particularly when the temperature is below freezing for more than a week straight. 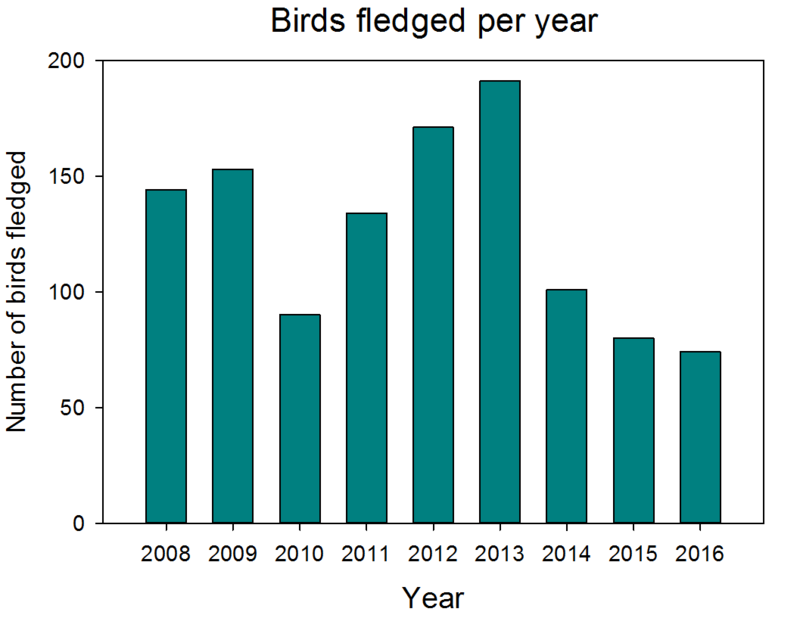 This graph shows the numbers of birds fledged per year from 2008 through 2016. Notice the decrease in number of fledglings from 2013 to 2014! 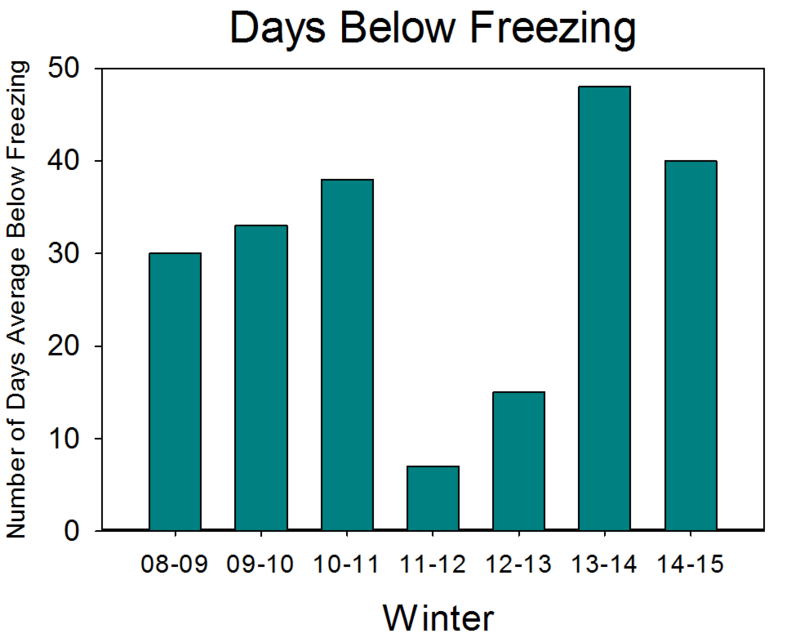 This graph shows the number of days that had an average below freezing temperature. Notice that the winter of 2013-2014 had almost 50 days below freezing! 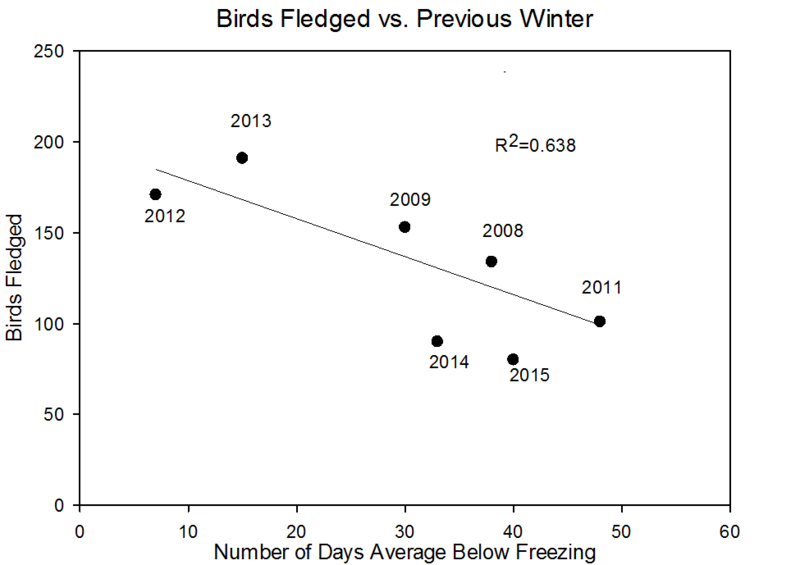 This graph shows the number of days below freezing and the number of birds fledged. The more days below freezing, the less birds fledged.